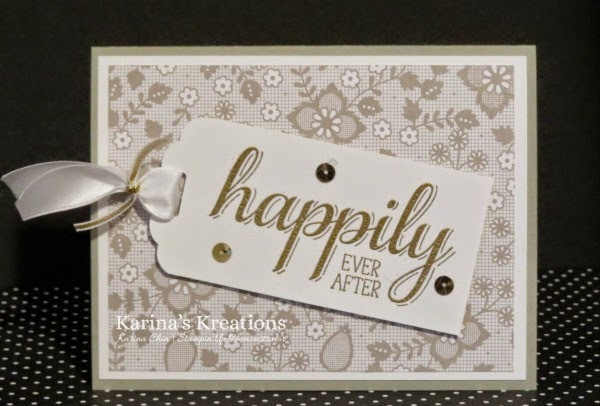 Karina's Kreations: Big News Wedding Card! I'm at a craft show today at Royal Gardens Community League 4030 117 St NW 10:00-3:30. Come see me if you're not busy! This is a cute wedding card I made with the Big News Stamp set, Something Borrowed Designer Series Paper and the Scalloped Tag Topper Punch. I embossed the greeting with Gold embossing powder to give the card a little more dazzle.